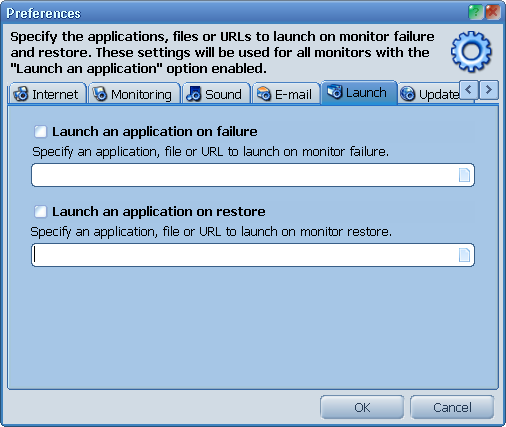 Then enable the Launch an application option for every monitor you wish. This option is on the Alerts tab of the monitor editor dialog. Also you can override the launch settings personally for any monitor. See the Override Launch Settings button on the Alerts tab of the monitor editor dialog.